Perspectivity Challenge visits Amnesty International Bangalore, again! 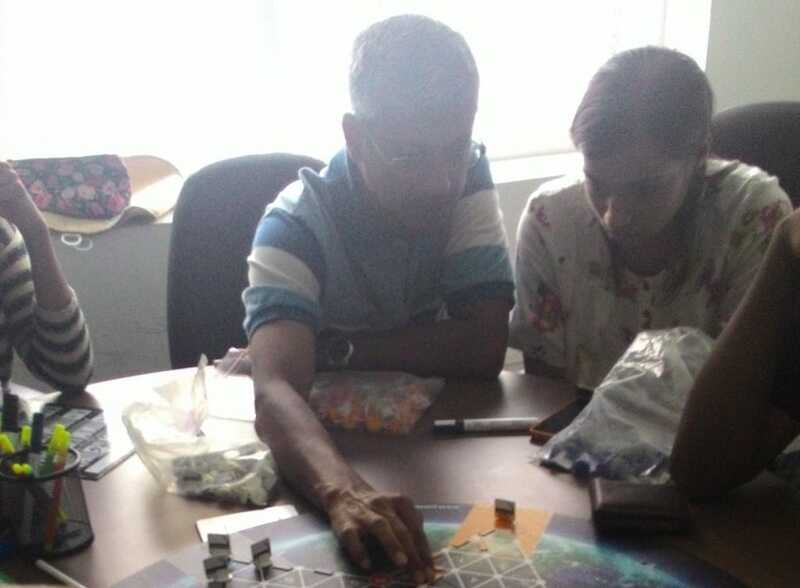 This was a long pending game session from Bangalore which couldn’t have been possible without the help of Amnesty International Bangalore. Inspite of an extremely rainy Saturday, 8 participants turned up for the open session. It was an equal representation from participants working for corporates and those working for Amnesty. After the initial rules were laid down, participants set out to chase the goal of the challenge. The participants started witnessing the climate and economic disasters. The result was the fast growth scenario bundled with antics of one team attacking the other team and unique conflict resolutions. During the reflection everyone could relate the challenge to the real life but felt that they would have definitely played the challenge differently had the rules been so obvious to early on. All in all it was an informative session and a couple of participants expressed their interest in facilitating the challenge in future.